When Japanese Game Titles Go From English to ...English? The Evil Within was released across the world in the past few weeks. 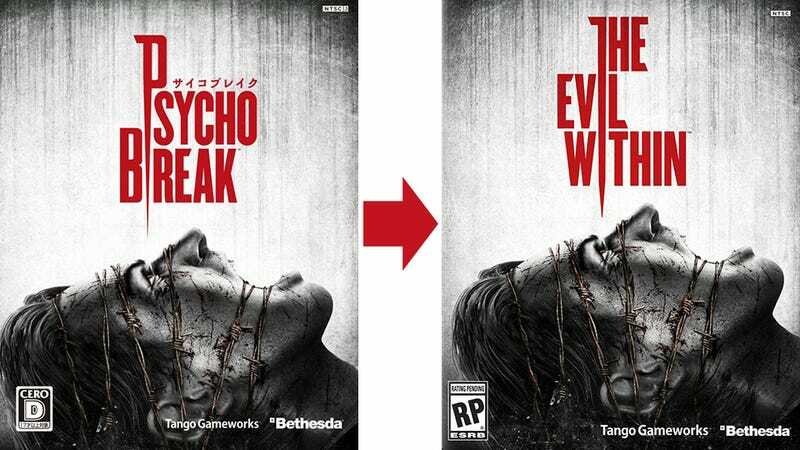 However, in Japan, its country of origin, it has a different English title: Psycho Break. Of course, this is far from the first time a Japanese game with an English title has been renamed after it has left Japan. Perhaps the most famous instance of this happening is with Resident Evil. When the Japanese title (Biohazard) couldn't be used because of copyright issues, a contest within the company resulted in the name becoming Resident Evil instead. But there have been many other games over the years for games with English titles that were renamed for their international release—so many, in fact, that let's play a little trivia game. Why Was "Biohazard" Changed To "Resident Evil"? Here is a list of games with their original Japanese titles. Do you know the new names they were given when released in the USA?